We had two furry guests at Chez Quokka this weekend. 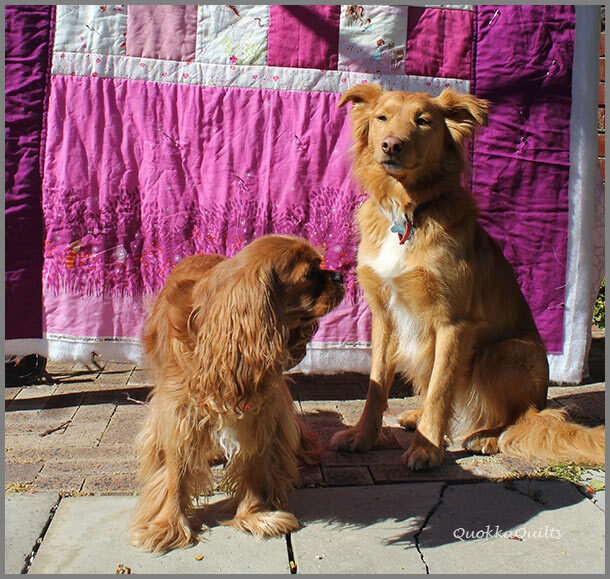 Amos is a ruby Cavalier and Jasper is a mostly red border collie – he’s mostly red and mostly border collie. Scarlett loves having visitors – especially boy visitors (the little tart) – but Melody couldn’t care less. 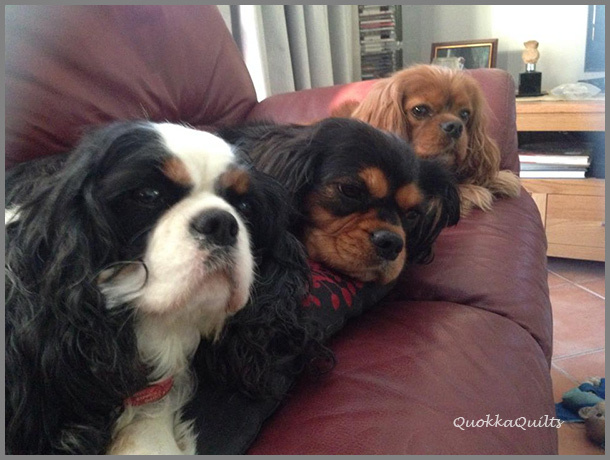 We just needed a blenheim cavalier to complete the cavalier rainbow. As the cavs were busy occupying the couch, sun lounger and armchair, Jasper stood in for modelling duties. This is a twin size quit using the Wee Wander line by Sarah Jane. 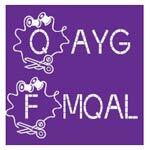 How was this fabric not going to be popular in pink, with glow-flies and deer and rabbits? (I do think the Wee in the title could possibly have been thought through a bit more before hand. Maybe the glass jars for the glow-flies have dual use?). 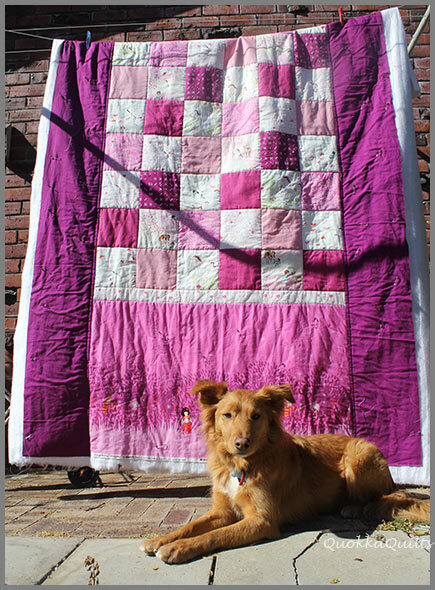 I’ve quilted in the ditch but more quilting is required. More photos soon!